A Sequel of Sort. I modeled No Dig, No Fly, No Go after my How to Lie with Maps, which was well received by a reviewers for the New York Times (“a useful guide to a subject most people probably take too much for granted”), the Geographical Review (“clear, easy to read, and sparkles with erudite humor”), Scientific American (“an artful and a funny book, which like any good map packs plenty in a little space”), and Wilson Library Bulletin (“witty examination of how and why maps lie . . . communicates much of the challenge, aesthetic appeal, and sheer fun of maps”). The new book includes incisive cartographic facsimiles as well as original maps and diagrams drawn to explain or exemplify key points. Like How to Lie with Maps, which sold over 62 thousand copies to a broad audience, No Dig, No Fly, No Go should appeal to general readers as well as mapping professionals, geographic educators, community activists, and students of cartography, history, planning, politics, and rhetoric. Restrictive Maps: A New Cartographic Genre. Prohibitive cartography emerged as a distinct dimension of map use sometime after 1900, when restrictive maps increased markedly in number, variety, pervasiveness, and impact to reflect the growing complexity of cities, governments, corporations, and transportation systems. That said, the year 1900 holds no particular significance aside from the fact that restrictive maps were markedly more prominent a hundred years later. 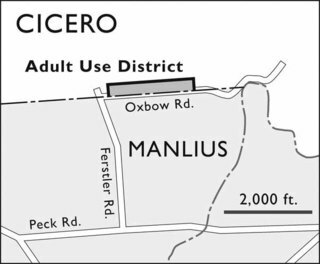 Although this intensification has roots in Roman property maps, partly intended to thwart trespass, any map with boundary lines delineating a territory as small as a farm or as large as a nation-state is fundamentally a restrictive map. Familiarity with these longstanding uses quite likely underlies an expectation that prohibitive maps would be understood and accepted if used more widely. Can you figure out the roles of these restrictive maps? What is this? Why is it here? 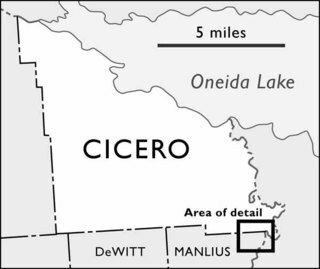 Was Cicero or Manlius responsible? What other LULUs (locally objectionable land uses) are accorded "corner siting"? 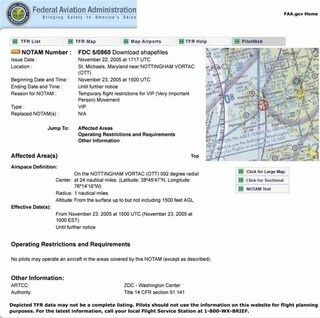 Why would the FAA place a Temporary Flight Restriction (TFR) over St. Michaels, MD? 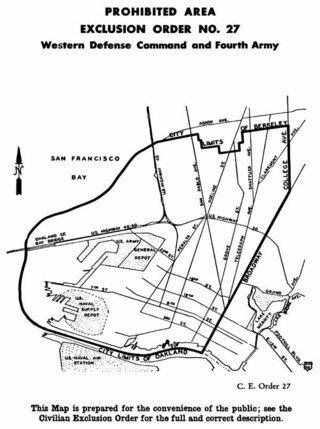 “This Map is prepared for the convenience of the public; see the Civilian Exclusion Order for the full and correct description.” From J. L. De Witt, Final Report: Japanese Evacuation from the West Coast, 1942 (Washington, DC: Government Printing Office, 1943), 98. Chapter Titles: No Dig, No Fly, No Go explores the broad range of restrictive maps. Here’s the list of chapter titles, with a brief interpretation. Cover Art: Here’s a larger image of the cover, which must be seen in print to be fully appreciated. Look carefully, and you’ll see how Isaac Tobin used tonal contrast to suggest an old map once folded to a quarter of its size. Tobin cleverly underscored the title by imposing he international slash-and-circle don’t-do-it symbol over the words DIG, FLY, and GO. I'm no artist, but I had my own idea for a cover based on my working title, Maps That Say "No!" Unlike Tobin's design, which replaced "No" with the red slash-in-circle, I envisioned a cover crafted to look like a land-use or zoning map on which thin contorted areas colored red spelled out the letters N and O and an exclamation point. Here's the crude concept drawing that I sent the Press. As I said, I'm no artist.